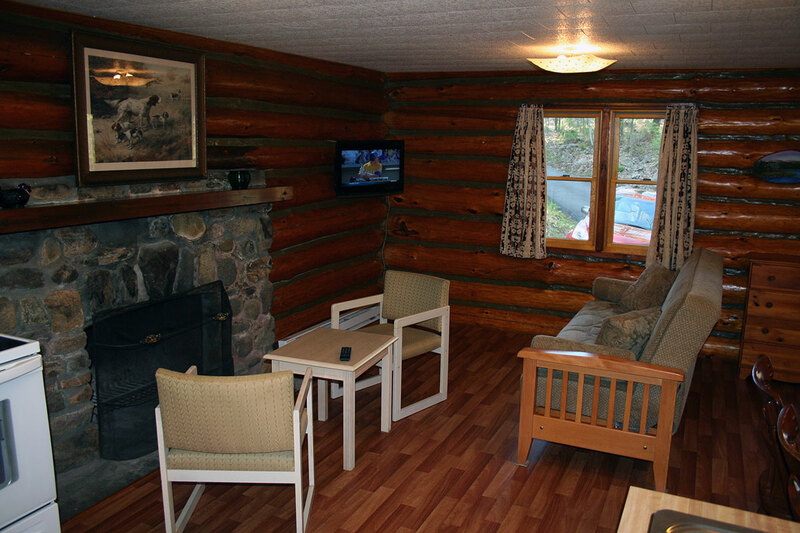 We have two log cabins at the resort made with authentic hand peeled logs – Log Cabin #5 and Log Cabin #6. 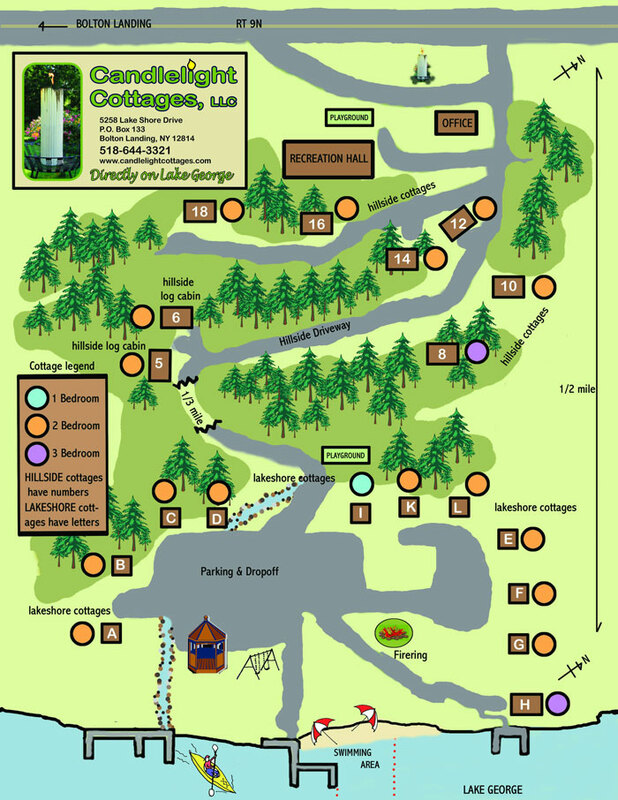 They are located on the hillside, about 1/3 mile from the lake front. 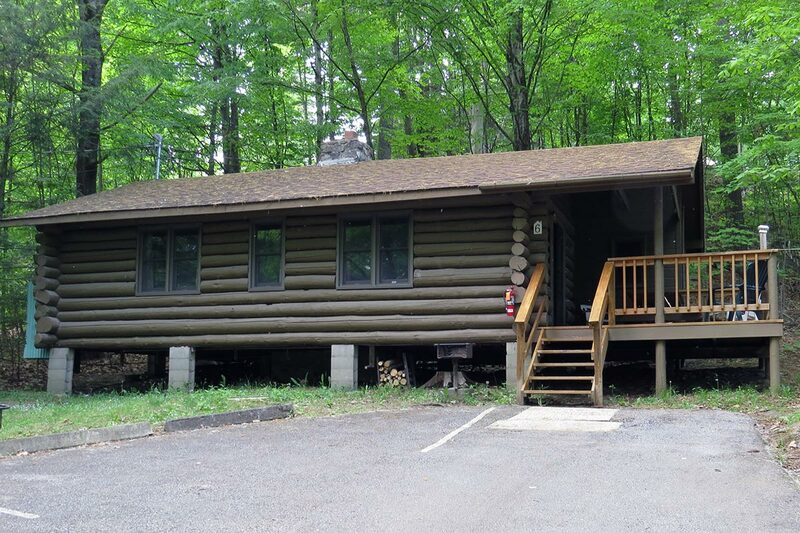 The two cabins are next to each other, in a wooded area, and some distance from the hillside cottages. 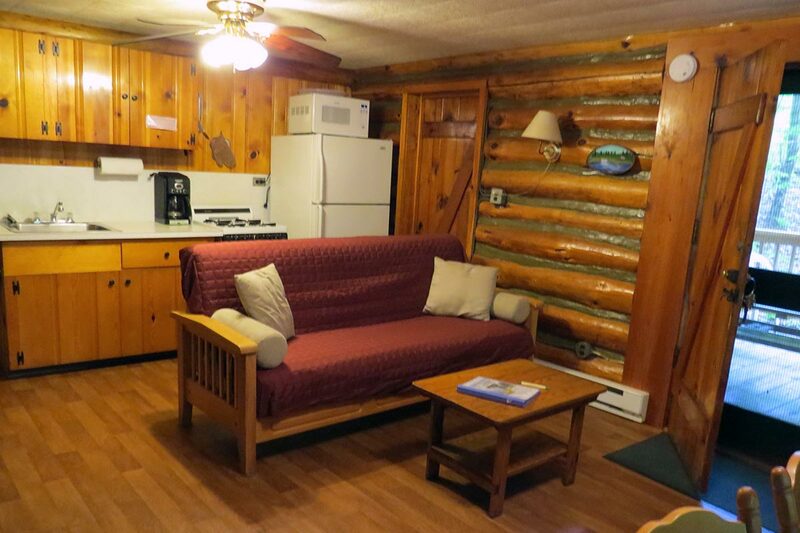 Each log cabin has a wood burning fireplace. We provide wood for the fireplace at no additional charge. 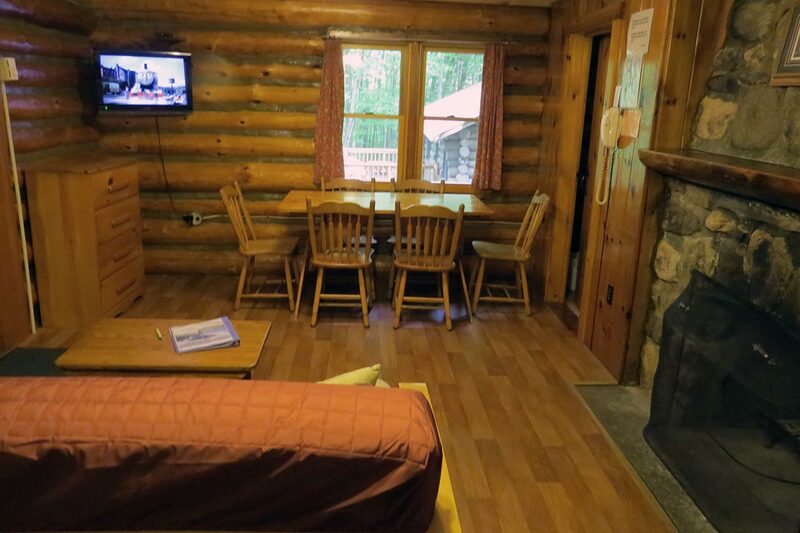 The cabins have a fully equipped kitchen area in the kitchen / living room, two bedrooms, one bath with a walk in shower, an outside deck with picnic table, and a BBQ for charcoal grilling. 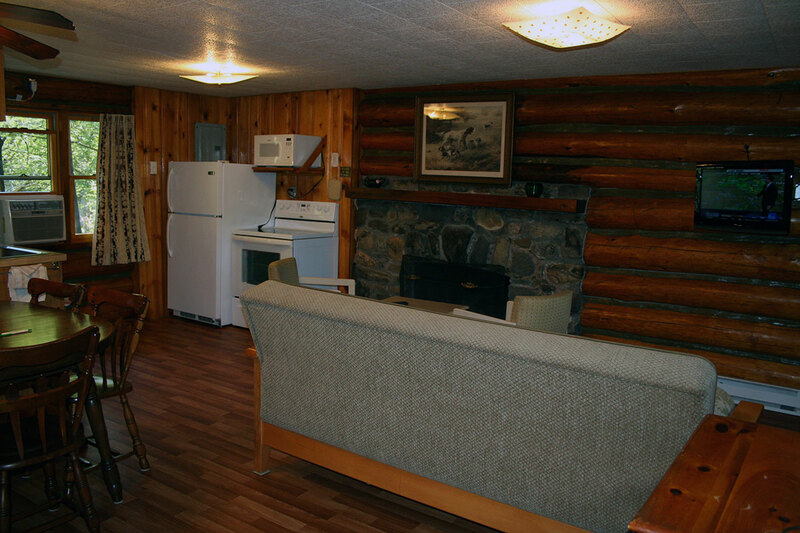 It is a 10 minute walk or short drive along our private, paved road from the hillside log cabins to the lake front. 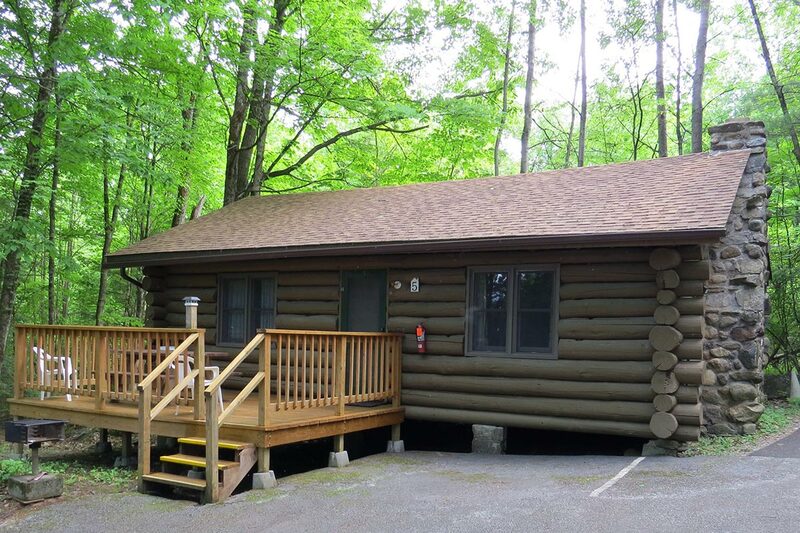 There is ample parking at the lake front for our guests staying in hillside cabins and cottages. Hillside Log Cabin #5. Bedroom with Queen size bed. Sleeps up to 6 people with sleeper sofa in kitchen / living room. Hillside Log Cabin #5. 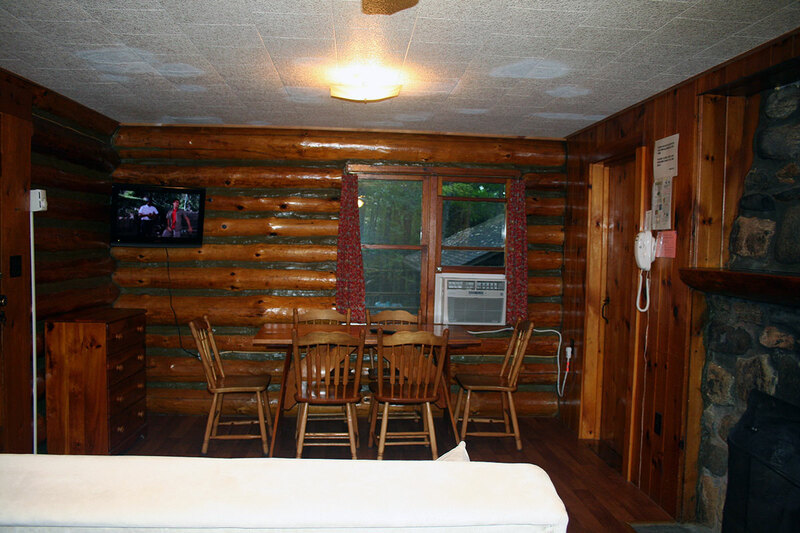 Two bedroom hillside Log Cabin with fireplace. 1st bedroom: Queen size bed. 2nd bedroom: Two twin beds. Hillside Log Cabin #5. 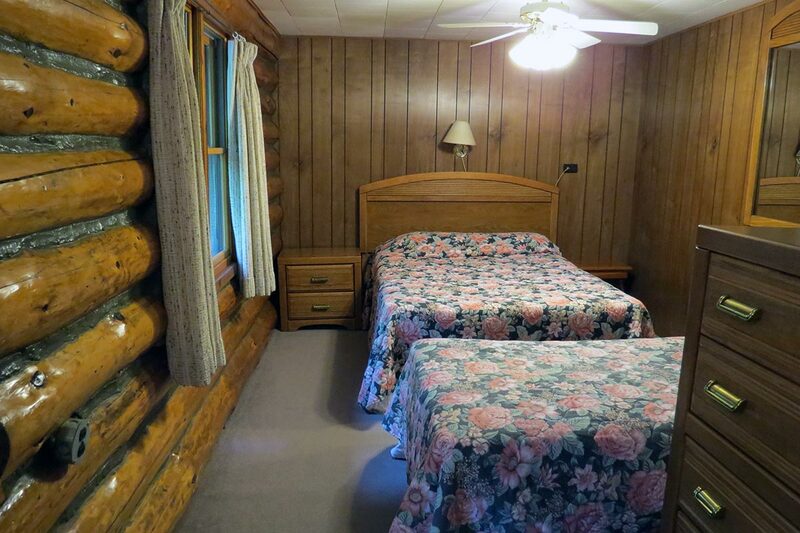 Two bedroom hillside Log Cabin with fireplace. Hillside Log Cabin #6 Living Room. Hillside Log Cabin #6. 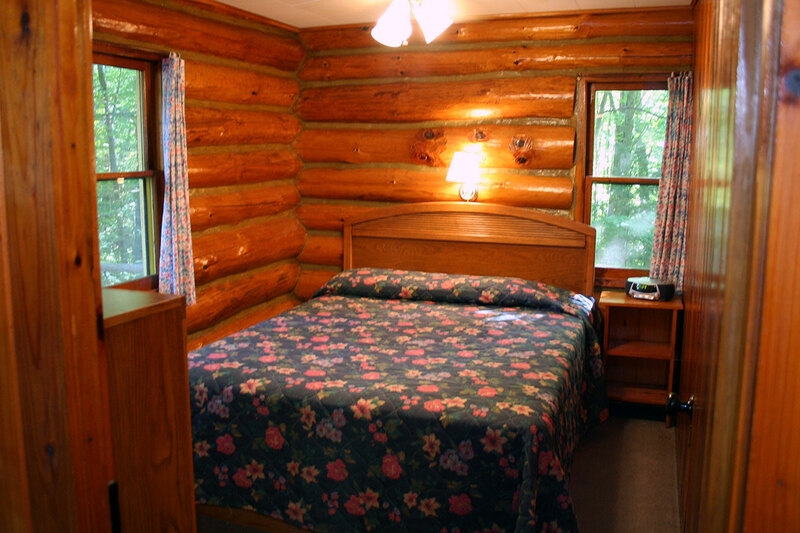 1st bedroom: Double bed & twin bed. 2nd bedroom: Queen sized bed. 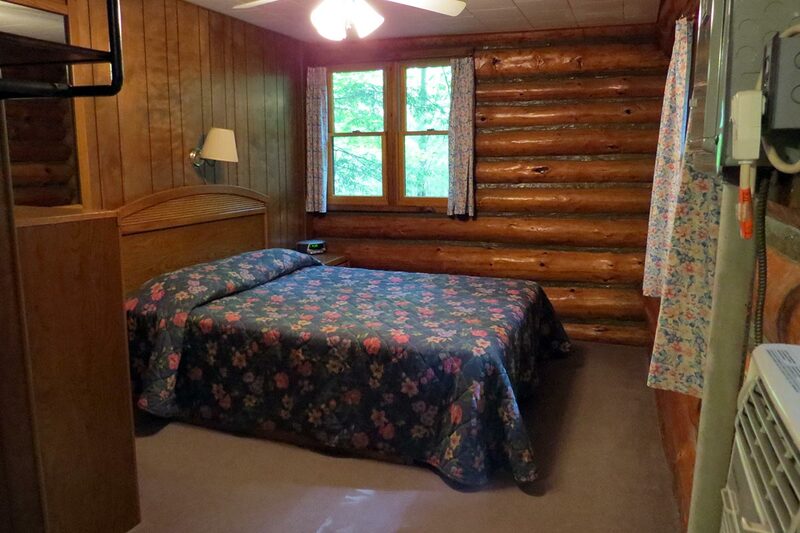 Hillside Log Cabin #6 Bedroom with Queen size bed. Hillside Log Cabin #6 Living Room & Kitchen. Log Cabin #6 dining area.